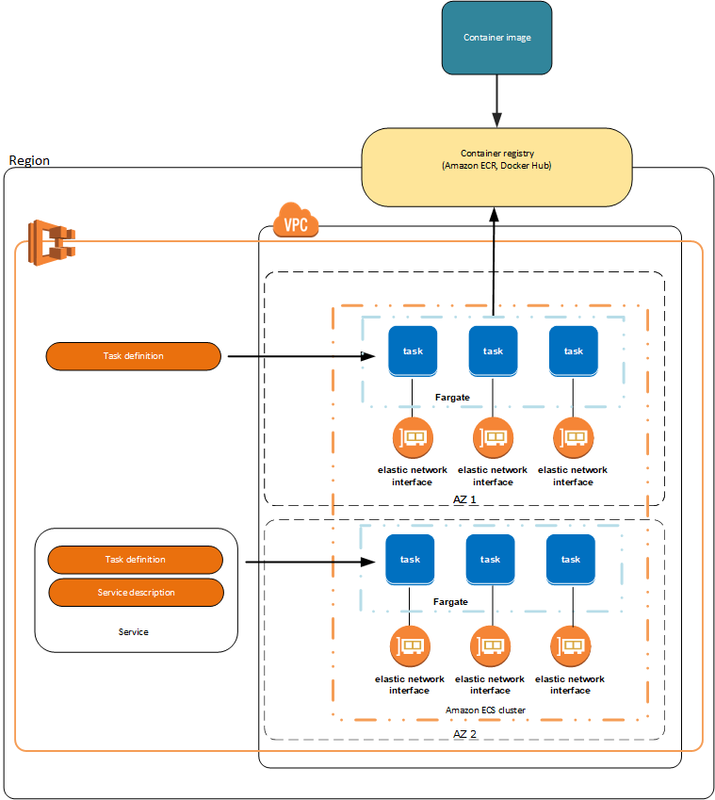 An Amazon ECS launch type determines the type of infrastructure on which your tasks and services are hosted. The Fargate launch type allows you to run your containerized applications without the need to provision and manage the backend infrastructure. Just register your task definition and Fargate launches the container for you. 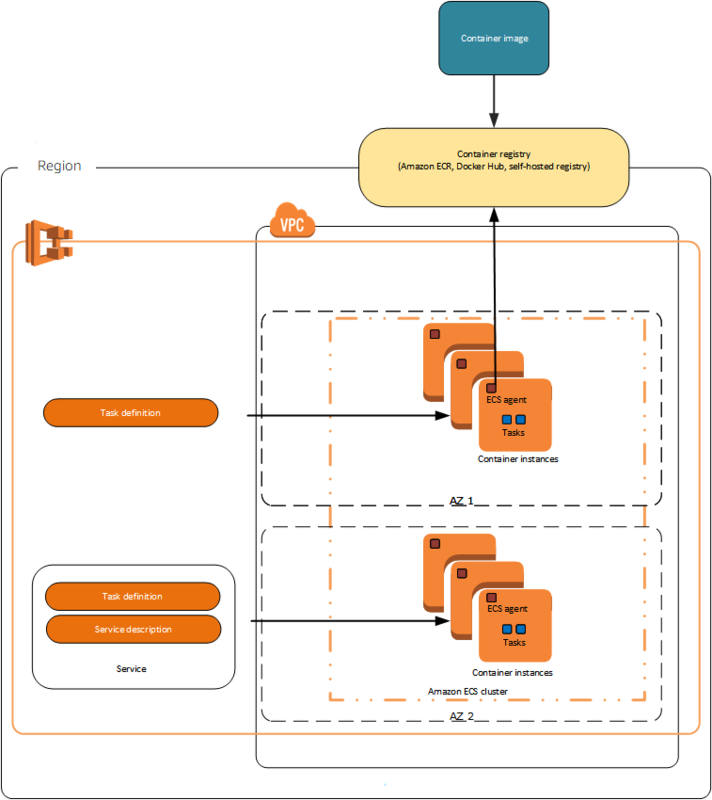 For more information about Amazon ECS with AWS Fargate, see AWS Fargate on Amazon ECS. The EC2 launch type allows you to run your containerized applications on a cluster of Amazon EC2 instances that you manage.